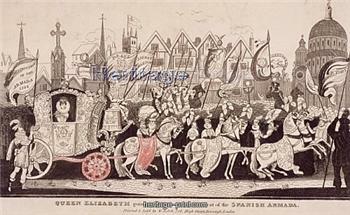 Fourteen-year-old Oxford was on the 1564 royal summer progress when Queen Elizabeth paid her historic visit to Cambridge University for five thrilling days and nights. Chancellor William Cecil (later Lord Burghley) was in charge while his arch political enemy, High Steward Robert Dudley (later the Earl of Leicester) acted as master of ceremonies; but then a single, unplanned event could not have failed to make a lasting impression on young Edward. Hamlet puts on a play to "catch the conscience of the King." 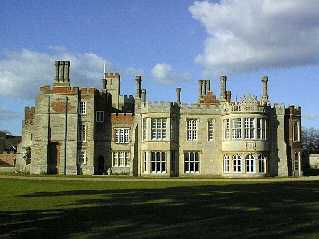 Elizabeth was set to leave on Thursday, August 10, 1564 for a 10-mile ride to the home of Sir Henry Cromwell at Hinchingbrooke, where she was to spend the night; and her Majesty was eager to get going. Although young Oxford was a university student (upon whom the queen bestowed an honorary degree during her visit), he was on the progress with her and surely witnessed what happened next. So that evening, in a courtyard, an exhausted Queen of England gathered with members of her Court by torchlight for the student production. It turned out to be a distasteful burlesque intended to mock certain Catholic leaders who had been imprisoned in the Tower. Imagine how this scene must have struck young Oxford! Here was vivid proof that a dramatic representation could directly alter the emotions of the monarch. Here was spontaneous evidence of the power of a play to affect Elizabeth’s attitude and perhaps even her decisions. 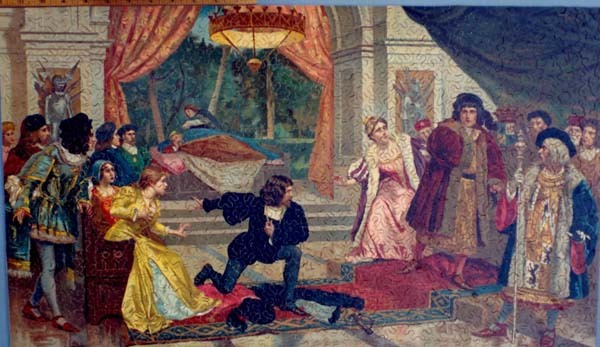 Did the mature dramatist “Shakespeare” later recall this event when he came to write the “Mousetrap” scene of Hamlet, setting it at night with the King’s guards carrying torches? When the Queen rose in anger at the students and rushed off, did chief minister Cecil call to stop the burlesque, as chief minister Polonius would do in “Hamlet”? Did Elizabeth call for light as Claudius does in the play? Gertrude (to King Claudius): How fares my lord? 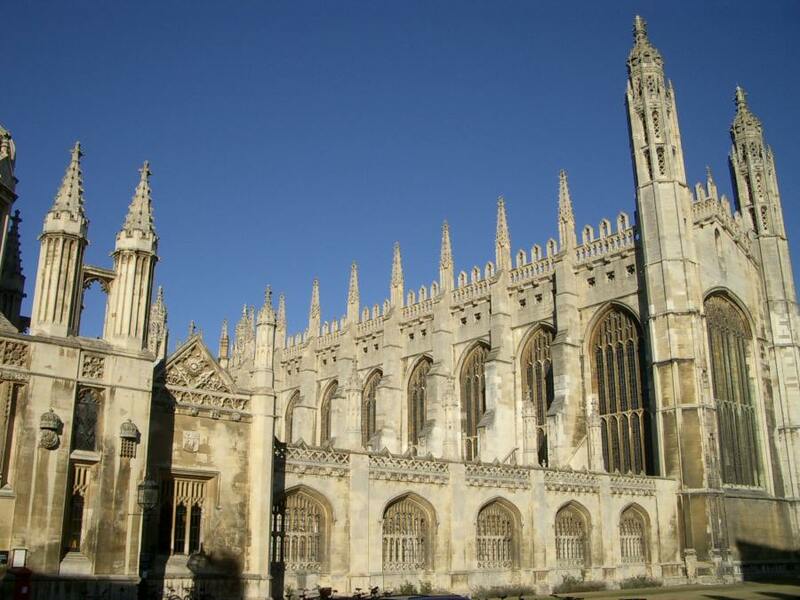 Young Oxford was already a well-tutored scholar whose Renaissance outlook had drawn him to literature and history among a myriad of fields; and Elizabeth, 31, had displayed her own Renaissance spirit and love for learning when she and her retinue had entered Cambridge that summer. 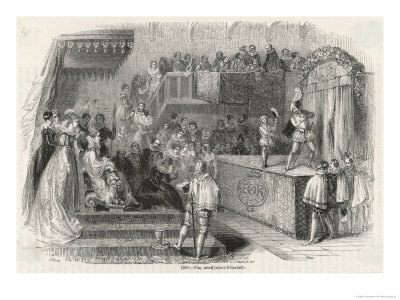 Now, after traveling with the Queen and her Court to Hinchingbrooke, the fourteen-year-old nobleman whose earldom motto was “Nothing Truer than Truth” had witnessed the power of a theatrical performance to stir his sovereign to rage. Was this the young “Shakespeare,” already storing away the experience and looking ahead to the days at the royal court, when he would “catch the conscience” of his Queen?